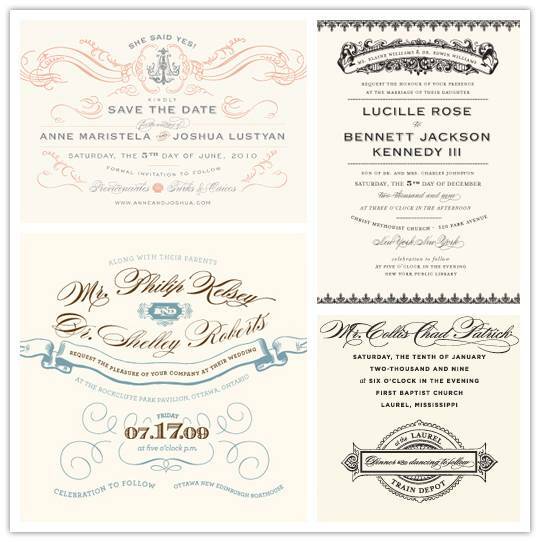 If your wedding is skewing more formal or has a vintage glamor theme running through it, Lucky Luxe is a new top recommendation I have for you when you’re going to for your invitation. It’s one part traditional, one part whimsical, and one hundred percent stunning. Take a look at their website for more jaw-droppers – it’ll be totally worth it! Soo pretty. Love these fonts. ooh these are so lovely, I’ll have to check them out. I love these — and I reached out to Erin already and she is so responsive! Really looking forward to the possibility of working with her on everything paper. These are gorgeous! I literally gasped when I saw their website.